Show your true colors campaigning behind America! 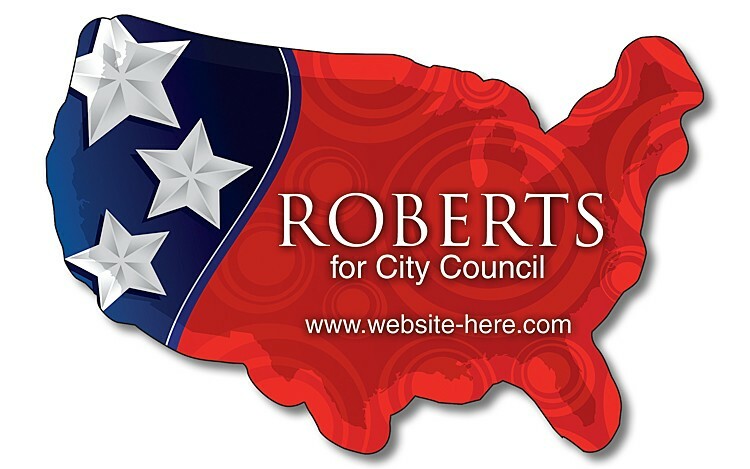 Personalized with your candidates contact information in full-color, United States Shaped Magnets are a proven marketing tool for keeping your message in front of your voters. Magnets stick to refrigerators, filing cabinets, appliances, vending machines, lockers and any other metal surface. USA shape magnet will hold paper, pictures and more. Approx. 3.5 in. x 2.34375 in.